Let the Sea Foam tech experts help you with the most common, time-tested recommendations and instructions for using SEA FOAM MOTOR TREATMENT in fuel. How much Sea Foam should I add to my fuel? 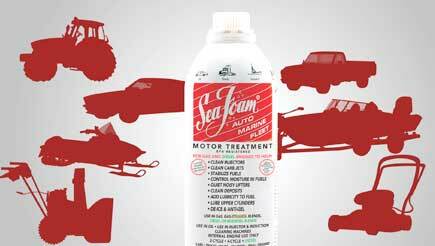 For routine fuel system (gas tank to engine) maintenance, one can of Sea Foam Motor Treatment treats up to 16 gallons of gas or diesel fuel. When greater cleaning is needed, add more Sea Foam – the more you add to fuel, the better it cleans! When stabilizing fuel for storage, use 1 (one) ounce per gallon of fuel. How often should I add Sea Foam to my fuel? For cars and trucks driven regularly, put 1 to 2 cans of Sea Foam in your fuel tank every 2,000 to 5,000 miles. For engine equipment used regularly, add 1 (one) ounce of Sea Foam per gallon to a fresh tank fill every 3 months or sooner. If you won’t completely use up a tank or container of fuel in 30 days, make sure you add 1 (one) ounce of Sea Foam per gallon when you add fresh fuel to the tank/container. How will Sea Foam help my engine and fuel?